Jane Clementino of WestJet thanks travel agents in Toronto at the WestJet Trade Expo on May 2, 2018. 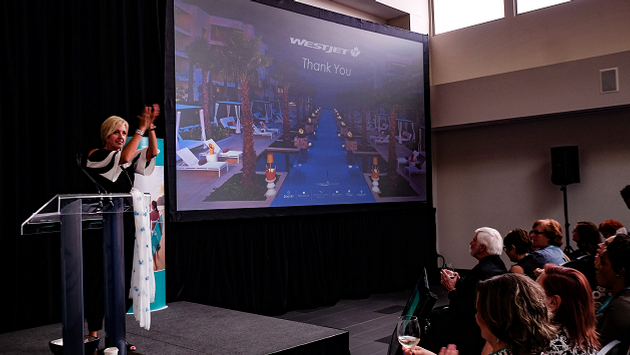 WestJet gave away dozens of exotic trips and great prizes on a night when travel agents from the Toronto area picked up valuable information on the airline’s programs and dynamic growth plans. At a meeting attended by nearly 400 southern Ontario agents and media, WestJet sponsored displays from 70-odd suppliers, allowing agents to get up-to-date information from important clients. Among the destinations manning booths at the International Centre in Mississauga were Jamaica, Barbados, Las Vegas, Orlando, Saint Lucia and Hawaii. Resorts on hand included Sandals, Hard Rock Hotels and Barcelo. WestJet also feted agents with food and drink and great prizes for tickets and posh hotel stays around the world, not to mention valuable WestJet dollars. 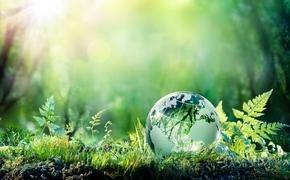 Canadian agents can book tickets for June trips between May 8 and 22 and get 45 per cent off on Plus Lowest seats and 30 per cent off Econo and Econo Lowest tickets. When it comes to on-time performance, Clementino said WestJet is “ten points better than its largest competitor, which I forget the name of.” She also WestJet Encore recently was named top on-time carrier in North America. Surveys show more than 90 per cent of Canadian travel agents are extremely satisfied with WestJet, she said. But the company still has a bevy of programs aimed at supporting agents, not to mention great commissions. “We also have the best rewards program of any airline, anywhere, with no blackouts,” Clementino said. Not content to rest on its laurels, WestJet is adding new lounges in Calgary, Vancouver and Toronto and is improving the airport and in-flight airline experience.